We are a very active sports and social club. We have three full sized snooker tables, a pool table and two dart boards and we are actively involved in a number of local leagues. There are a two large tv screens and we make a special event, often with a free buffet, when there is a major sporting event on the telly. The club is open every day and members also enjoy socializing informally. Either at lunchtime, at the end of the working day, or later in the evening. There is always a friendly face ready for a chat, or a quiet corner to read the paper, or make use of the free WiFi while enjoying a quiet pint. The Westerham Snooker league consists of 3 Divisions of teams from the Westerham, Biggin Hill, Oxted, Merstham and Purley areas. Division 1 consists of 8 teams, Divisions 2 and 3 each consist of 7 teams. Caterham Club have three teams in the league, one in each of the divisions. 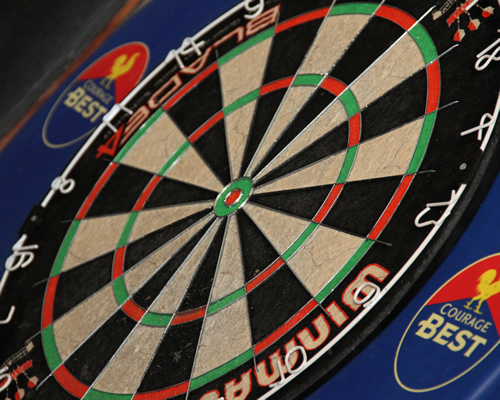 Caterham Club run two darts teams who compete in the local darts league.